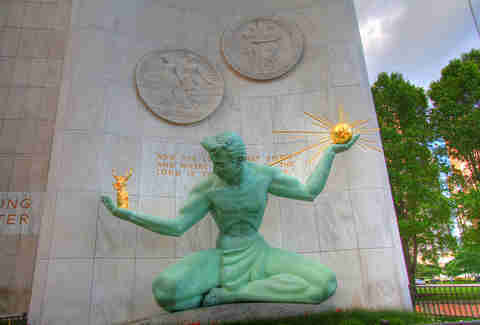 Visiting Detroit for the weekend? 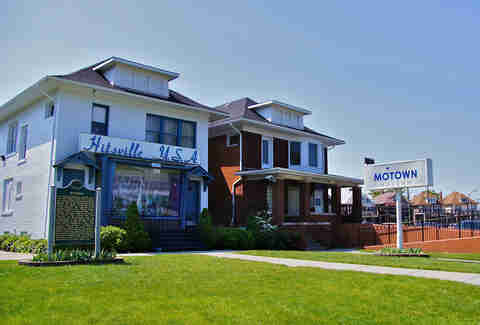 Spend your time here like a local -- which means digging a little deeper into each corner of the Motor City. Every neighborhood offers a unique experience, packed with sightseeing opportunities, historic allure, and, of course, great eats. Whether you’re looking for an active weekend or just some serious R&R, check out one of these five Detroit neighborhoods for a getaway that fits your style. This eastside neighborhood is perfect for visitors looking to feel “at home.” Part of the Villages, which is actually six small neighborhoods consisting of picturesque historic homes, West Village is particularly unique for its mixed-use development, including restaurants and boutique shopping. Stay: Because of the residential nature of this area, most lodging options here are via Airbnb. However, these aren’t your average rentals. Potential options to spend the night include this zany private room, located inside a former window dresser’s historic town home. If you’re looking for more privacy, opt for this private apartment in a beautifully restored 1905 home. Formerly the servant’s quarters, the quirky, third-floor space comes stocked with snacks, Faygo (Detroit’s favorite pop -- don’t say soda), and even a Nintendo 64. Breakfast/Lunch: Despite its small size, West Village has plenty of dining options inside the neighborhood, or just a short walk or bike ride away. For breakfast, grab quick bites and small-batch roasted coffee at The Red Hook, or a slice of pie (or a super-filling Sister Salad) at Sister Pie. Really hungry? Find homestyle, comforting favorites at Rose’s Fine Food in neighboring Indian Village. The “finer diner” offers locally-sourced breakfast and lunch options like buckwheat pancakes and hefty sandwiches on house-made bread. 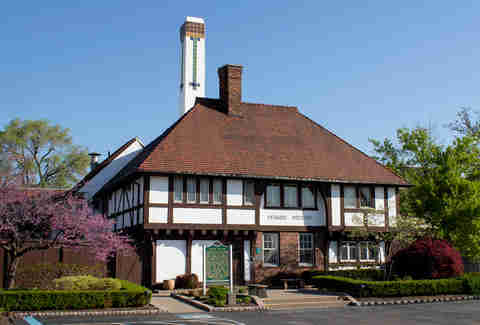 Do: Explore local icon Pewabic Pottery in Indian Village. Since 1903, the studio and its artisans have produced handmade clay pottery and ceramic art, earning a National Historic Landmark designation in 1991. Groups of 10 or more can schedule hands-on and guided tours, but visitors can stop by any day of the week, free of charge. For even more historic charm, simply grab a bike (MoGo rentals are available on Agnes Street) and take a ride through the neighborhood to see homes designed by renowned architects like Albert Kahn, William Buck Stratton, and Louis Kamper. Want to enjoy the great outdoors? Belle Isle is only three miles away, prime for hiking, biking, and kayaking. Dinner/Drinks: After a long day of exploring the neighborhood, swing into Craft Work for dinner and drinks. The neighborhood restaurant and bar features upscale American fare like steaks, craft cocktails, and a raw bar. For vegan-friendly fare, enjoy a meal at Detroit Vegan Soul with plant-based favorites like “catfish” tofu, mac & cheese, and seitan pepper steak. Snack on small bites and sip a nightcap inside Brix, a wine bar nestled inside a cozy, renovated bank, and if you’re visiting during the summer, be sure to check out The Villages Bier & Weingarten, which is dog and kid-friendly. As the oldest neighborhood in Detroit, Corktown’s cobblestone streets, historic homes, and sightseeing opportunities make it a perfect getaway, especially for those coming to the city for a game or an event. Located just outside of downtown, many pubs and bars in the area offer free shuttles during the weekends to major venues including Little Caesars Arena, Ford Field, and Comerica Park. Stay: Sleep in style at Trumbull and Porter. The newly renovated boutique hotel features 144 guest rooms appointed with furniture made by Michigan artists, an outdoor courtyard, and in-hotel dining at Red Dunn Kitchen. Or, for a more private experience, opt for Honor & Folly. Located above Slows Bar B Q in the heart of Corktown, this gorgeous two-bedroom guest house includes space for the whole family and a fully-stocked kitchen (should you be able to resist the smell of smoked meats coming from downstairs). Breakfast/Lunch: Corktown is basically a brunch oasis, with no shortage of options. Neighborhood newcomer FOLK is an artisanal cafe featuring seasonal and from-scratch options, including wholesome savory bowls, loaded toasts, and mains like Belgian waffles and meat pie. Or, visit Bobcat Bonnie’s, located right off of Michigan Avenue, for build-your-own mimosas and Bloody Marys. For quick eats or a pick-me-up, check out Astro Coffee or Detroit Institute of Bagels. Do: From morning until night, it’s easy to spend the weekend in Corktown. Start with some shopping at quirky stores such as Eldorado General Store, Hello Records, and Mama Coo’s Boutique for vintage finds. Then, catch a midday amateur baseball game at The Corner Ballpark at the old Tiger Stadium site. In the evenings, enjoy live bands at PJ’s Lager House and McShane’s Irish Pub (which also features Irish music on the 17th of every month). Dinner/Drinks: For a truly memorable meal, visit Lady of the House. The restaurant headed by Chef Kate Williams has earned national accolades (including a 2018 James Beard nomination) for its homestyle, Irish-inspired cuisine. Local favorite Gold Cash Gold offers an elevated twist on comforting classics, serving sustainably-sourced, Southern-inspired fare (pickle-brined half chicken, pea & carrot gemelli) and craft cocktails inside an old pawn shop. As for drinks, stop by Two James, the first distillery in the city since Prohibition, or visit Sugar House for a seemingly endless menu of classic cocktails and seasonal creations. 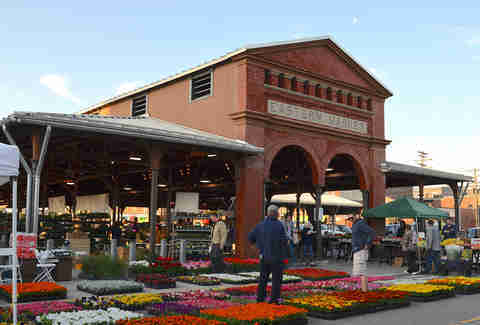 While known for its Saturday farmers market, Detroit’s historic Eastern Market is an unlikely, but excellent choice for those looking to get away for the weekend. The neighborhood features a bustling art scene, top-notch dining & drinking options, and of course, plentiful local shopping. Stay: One of the best things about staying in Eastern Market is the number of massive loft rentals available in the heart of the district -- and many of the luxury rentals include room for larger groups. If you’re looking for a full house, opt for 2126 Pierce. Located right on the edge of Eastern Market, the micro bed and breakfast (about 900 square feet) is situated in a beautifully reclaimed home with a brightly-colored mural exterior. Breakfast/Lunch: Kick off your morning at Farmer’s Restaurant, a simple, no-frills diner known for its mammoth (and affordable) breakfasts, with offerings like loaded omelettes and corned beef hash. For an eclectic option, dine at the cafe at performance space Trinosophes, which features a menu of whole-food, locally-sourced items (egg plates, breakfast sandwiches) as well as vegan-friendly fare. In the afternoon, pay a visit to Vivio’s, a family-owned bar and restaurant with an award-winning Bloody Mary. And don’t forget to stop into Germack Coffee Roasting Co. to grab a latte from their espresso bar and to stock up on all-day snacking essentials like nuts, candies, and dried fruit. Do: Explore the market, of course! On weekends, Eastern Market is bustling with vendors (starting at 6am Saturdays, and 10am Sundays during the summer) as well as a variety of brick-and-mortar stores, including Market Antiques, Detroit vs. Everybody, Rocky’s, Detroit Mercantile Co., and Henry the Hatter. Make sure to take time to enjoy some local art -- there are more than 40 murals scattered throughout the market as well as galleries, including Wasserman Projects and Red Bull House of Art (reopening with a new exhibit later this summer). In the evening, enjoy live music from well-known jazz and blues performers at Bert’s Market Place. Dinner/Drinks: While it’s not Detroit-style, some of the best pizza in the city can be found at the upscale Supino Pizzeria, serving flavorful thin-crust pies alongside a robust wine menu. Dine at Gather for seasonal fare from a rotating menu of locally-sourced (including from market vendors) American cuisine and craft cocktails in an intimate, communal setting. Old-school Italian eats can be found at Amore da Roma (formally the Roma Cafe). Originally opened in 1890, the restaurant was renovated last year and re-opened under the new name, but continues to offer favorites like its famous spaghetti and house-made fettuccine alfredo. For drinks, sample the local spirits and brews at Detroit City Distillery and Eastern Market Brewing Co.
Home to Wayne State University and the College for Creative Studies, Midtown is possibly the most walkable neighborhood in Detroit, densely packed with cafes, restaurants, and shops, as well as cultural attractions like world-class museums and art galleries. Only a short Q Line ride from downtown, the neighborhood is also perfectly situated for visitors without a car. Stay: The Inn on Ferry Street is easily one of the most beautiful hotels in the city. Made up of four restored Victorian homes and two carriage houses, the inn’s luxury rooms and suites feature oversized tubs, (non-working) fireplaces, and stately furnishings. Or stay at the sustainable and stylish El Moore Lodge, whose suites and rooftop cabins feature reclaimed & reused elements, geothermal heating & cooling, and solar panel energy. Breakfast/Lunch: For an elegant affair, check out The Whitney; the gorgeously restored historic mansion offers a three-course brunch on weekends. If you’re feeling more casual, dine at Le Petit Zinc, a French-inspired cafe serving crepes, quiches, and pastries. Grab-and-go-bites and coffee are also available at one of the area’s many cafes, including Avalon International Breads and Great Lakes Coffee Roasting Co.
Do: You could easily spend an entire weekend just exploring this area’s cultural attractions, including the Detroit Institute of Arts, the Charles H. Wright Museum of African American History, the Detroit Historical Society, and the Museum of Contemporary Art Detroit. For live music, head to the Magic Stick for local and national indie acts, or check out the big names playing the Majestic Theater. Both venues are housed in the same building, which also includes a bowling alley, bar, and pizza parlor. Or for some serious relaxation, soak and steam at the Schvitz, a historic Russian bathhouse. Eat/Drink: You’ll definitely want to grab dinner at Selden Standard, an upscale option for New American small plates. Or, opt for newcomer Grey Ghost, serving a protein-forward menu of cured, raw, and cooked meats and seafood. On the opposite end of the spectrum, vegans and vegetarians can find plenty of options at Seva, including entrees like fettuccine al pesto and pad Thai. For drinks, there is no shortage of local dive bars: Stop in to Bronx Bar, Jumbos, or The Old Miami for cheap drinks and great conversation. 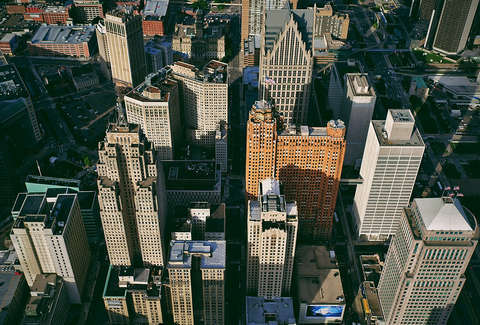 While not a “neighborhood,” per se, downtown Detroit offers the most variety in boutique hotels, award-winning restaurants, and things to do. For those truly wanting to be in the thick of things, staying in the heart of the city is a no-brainer. Stay: Ditch the chain hotels and instead opt for an independent luxury choice like the Detroit Foundation Hotel. 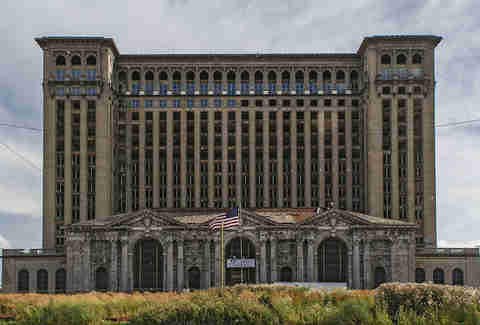 Situated inside the former Detroit Fire Department headquarters, the lodging is pet-friendly and offers amenities such as complimentary Detroit Bikes rentals, in-room bars stocked with local Bon Bon Bon chocolates & the Detroit expression of Our/Vodka, and on-site dining at the Apparatus Room. New to the city is the The Siren, located in the historic Wurlitzer Building, which also houses Populace Coffee, Candy Bar cocktail lounge, and the forthcoming eight-seat Albena featuring a tasting menu created by James Beard-nominated chef Garrett Lipa. Breakfast/Lunch: Start your day at the Hudson Cafe, a popular breakfast and lunch destination known for its twists on brunch classics like fried catfish & waffles and graham cracker-crusted French toast. Or, dine at Dime Store, serving elevated breakfast favorites like pork belly eggs Benedict and duck leg hash. For lunch, visit Avalon Cafe and Bakery, the massive new downtown outpost of the well-known Midtown bakery, which opened last year complete with a full kitchen offering soups, sandwiches, and pastries. Do: Make time to visit the Detroit Riverfront to enjoy breathtaking views of the river and Windsor’s skyline as you walk along the 3.5-mile RiverWalk past outdoor pavilions, parks, and green spaces. Throughout downtown, search out iconic pieces of outdoor art, including the Monument to Joe Louis (better known as “The Fist”), the Spirit of Detroit, and Shepard Fairey's 184-foot-tall mural at the north end of Campus Martius. While you’re there, be sure to stop by the park, which offers free programming like art shows, movie screenings, live music, and more throughout the year. Eat/Drink: New American restaurant Parc is one of the hottest new additions to downtown, winning multiple awards in the last year for its contemporary and eclectic cuisine, highlighted by menu items like whole grilled trout, salmon tartare, and dry-aged steaks. Another upscale option is Townhouse, offering elevated American comfort food and a “libation library” -- their whopping 39-page drinks menu -- served in an all-glass atrium dining room. For more casual fare, check out Grand Trunk Pub situated inside a historic railway station and serving classic grub such as corned beef sandwiches, shepherd's pie, and burgers. When it comes to drinks (and nightlife) there is no shortage of options downtown: Try local favorites The Skip for frozen concoctions like a French 75 slushie and Bad Luck for over-the-top craft cocktails like The Admiral -- a $200 pour of 1953 British Royal Navy rum (alcohol content: 54.5%). Of course, more “affordable” options, like one garnished with edible gold for $45, are also available.